It has been a very fun and very busy summer for Namely. We partnered with Sequoia Capital, opened our San Francisco office, and moved to our new headquarters in downtown New York as we close in on 200 employees. We also enhanced payroll, integrated with new partners, and upgraded our PTO functionality. With each development, our team has become even more energized to build the most modern HR solution for growing companies to get better, faster. Our milestones are fueled by our two biggest passions: technology and service. We firmly believe that the best HR comes from software that employees love to use, plus dedicated client support to help with your most pressing human resources needs. Today, we’re proud to announce two key hires on our leadership team to fuel both of those passions in big ways: Teresa Dietrich, our new Chief Technology Officer (CTO) and Radhika Samant, our new Chief Financial Officer (CFO). Every company, regardless of size, deserves the tools it needs to scale a world-class team. As CTO, Teresa will lead our efforts to build the only comprehensive HR, payroll, and benefits platform that’s flexible enough to serve companies of all sizes. She deepens our commitment to build on the latest technology, integrate with like-minded partners, and deliver software with a simple, smooth user experience. Teresa joins us from WebMD where she spent 8 years implementing secure, scaled-up technology. Creating easy-to-use, gorgeous software is the core of what we do at Namely, and we’re thrilled to have Teresa, with nearly 20 years of tech sector experience, leading our engineering team. As for client service, our new CFO Radhika Samant will be taking our payroll operations to the next level. Namely now processes over $1 billion in annualized payroll—making us the fastest-growing payroll provider in history. 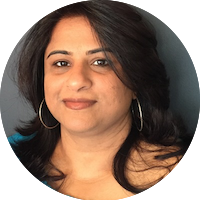 Under Radhika’s leadership, Namely will be focused on making payroll even faster and easier for our clients to use. 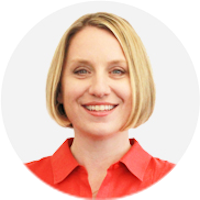 She joins us from EnterpriseDB, where she grew their team of employees into a leading SaaS company. Radhika brings over 20 years of experience in building and optimizing global finance teams and processes, and her expertise will be core to delivering the best payroll operations in the industry. Of course, our tech and service still need amazing people on the other side to use them. Namely now helps nearly 300 companies manage more than 45,000 employees globally. We service some of the world’s most innovative brands. Our joy is seeing our clients and their people do amazing things. As we continue to grow our own team, we can’t wait to see how our clients will continue growing theirs.